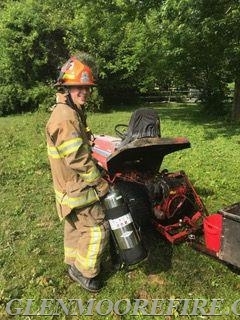 At 4:25pm on Saturday 6/9/2018, the fire company was dispatched for a tractor fire. 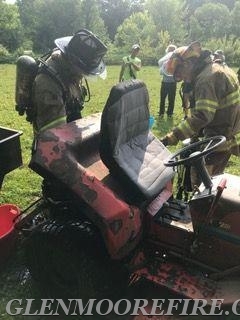 Deputy 48 made a response and upon arrival found a garden tractor on fire. Engine 48-1 and Engine 48-5 made a response; however, the fire was extinguished prior to their arrival. 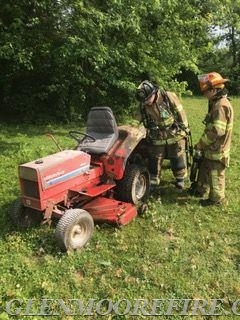 The crews checked over the garden tractor to confirm that there was no additional fire. Crews were in service for about 30 minutes.